Ahora le toca a Tara Victoria diseñadora y fotografa donde en su lindo blog encuentras inspiración y desafios creativos, nos hablará de la importancia de las comunidades en el medio del blogging y de los negocios. Se las dejo. Nows turn is for Tara Victoria designer & photographer whos pretty blog goes from inspiration and creative challenges, she will talk about the importance of communities in blogging and business. So i leave her to you. 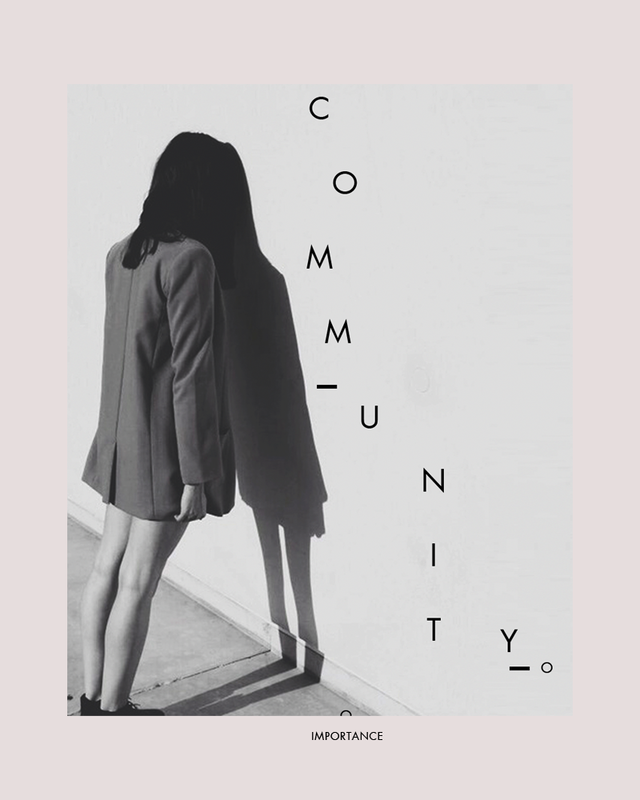 A few weeks ago I wrote a blog post about the importance of community reaching out to fellow bloggers and creatives to let them know they're not alone, though many of us sometimes feel that this creative path we are on has to be ours and ours alone. The responses were beyond what I had imagined and truly amazing. I was blown away. You see, so many of us bear our creative struggles all on our own, but a defining moment in any creative's journey is when you accept you're not alone and that your struggles are our struggles. Taking a leap to start a small business or a blog is huge all in it's own, but thinking that you're in it completely by yourself can make those risks seem unobtainable. A huge lesson that college taught me was that there are so many things about business, design, creative blocks, process, (you name it) we all have yet to learn and yet some of our unlearnt lessons, might be things other's have already been taught and vice versa. By collaborating and communicating with those around us we can teach and help one another. Being part of a community is a give and take relationship that everyone can contribute to. That's why it pains me so to see folks thinking they can't reach out. Accepting other's help can be one of the biggest growth factors personally and professionally. If you have an issue with your business or a question about your blog, seek your answer within the community and I guarantee you will get it. Not only can community help with unanswered questions, but it is a great way to promote and grow your business or blog. Social media gives us the ability to do so in seconds and when people like what they see or read, they share it. In return we can do the same for others. This is part of the give and take. I've also seen this community come together during times of personal struggles. Loss of a loved one, a breakup, unemployment, or just needing someone to mull things over with. I've seen the support system it can be and I have been blown away by it time and time again. By putting yourself out there you're allowing the possibility of strong friendships that are not only willing to help you professionally but as a person as well. The possibilities in community are endless and the importance, powerful. I think this quote by Johann Wolfgang von Goethe puts it best "The world is so empty if one thinks only of mountains, rivers and cities; but to know someone who things and feels with us, and who though distant, is close to us in spirit, this makes the earth for us an inhabited garden." Oh so glad you like it, thanks for hoping in Groobers!! The best.